I am a designer with over 6 years of experience in web and print design. I specialize in wordpress development and customization, which includes PHP, HTML, CSS, and MySQL knowledge. In addition to web and print design, I am also an exprienced marketer (including social media), and SEO. 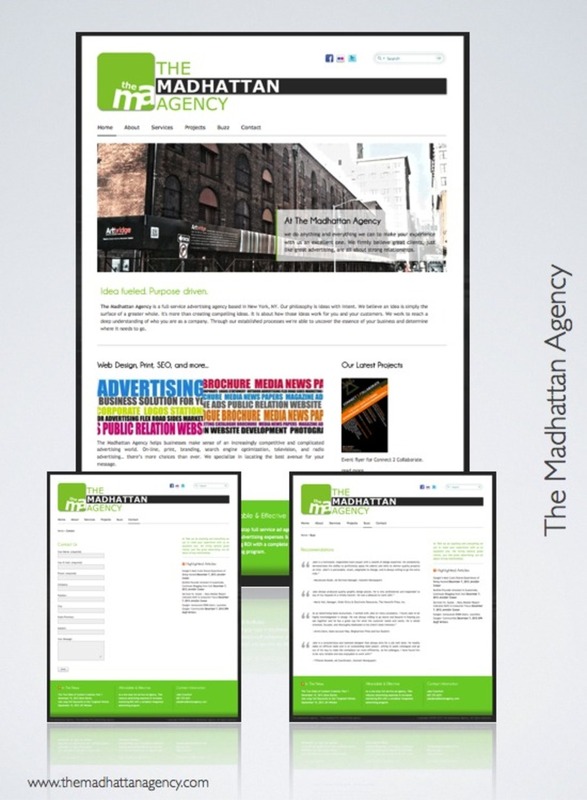 This is a profile of my site design of themadhattanagency.com. Their you can find past work examples and recommendations.